The one ring you will wear for life, the piece of jewellery that needs to be chosen with care and emotion, we at Nicholson & Coulthard understand the need for your ring to express all that is wonderful about your partner. Standing out from the crowd with over 200 wedding rings in stock, you can find that special ring in our store, from dazzling diamonds, contemporary designs and classic wedding bands, all in store for you to view at your leisure. To make it an even more personalised experience, the majority of the wedding rings we sell can be engraved in-store with a personal message. 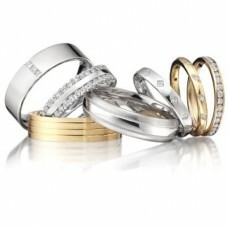 If you are looking for a ring to fit your engagement ring, why not try our SHAPED TO FIT SERVICE? We can provide a C.A.D. design pack with 3D images showing how your bespoke designed ring will look, along with a wax sample for you to view in store. This is a unique way to design a bespoke ring that really involves you, the customer, along the way! Contact our friendly team today with your enquiry!